The City of Colton is dedicated to fostering a cleaner greener sustainable community through its efforts in energy efficiency, waste reduction and recycling, water conservation, green building initiatives and electric vehicle infrastructure. 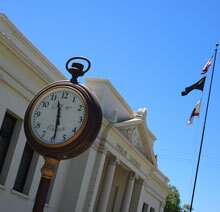 The residents and businesses of Colton can all participate in the City's sustainability efforts. The CAP presents the Greenhouse gas (GHG) inventories, identifies the effectiveness of California initiatives to reduce GHG emissions, and identifies local measures that were selected by the City of Colton to reduce GHG emissions under the City’s jurisdictional control to achieve the City’s identified GHG reduction target. The City of Colton Sustainability Division offers several programs that will help save energy and water for residents and businesses. The City of Colton's vision for our urban forest is a sustainable and resilient mix of healthy trees throughout our public parks, avenues, parkways, arroyos, rivers and open space. Colton’s trees provide residents and the business community with beauty, shade, comfort, health and economic benefits. Colton’s trees are cared for, valued and protected by the City and its citizens as a treasured community asset. Please see the Urban Forest Master Plan (UFMP) here. For Energy saving tips click here. For Residential Rebates click here. For Commercial Rebates click here. For the solar program click here. For Water saving tips click here. For Drought Information click here. The City of Colton boundaries are within the South Coast Air Quality Management District (SCAQMD). Residents can help protect public health by contacting SCAQMD to report excessive odors, smoke, dust, or other air contaminants in the City. 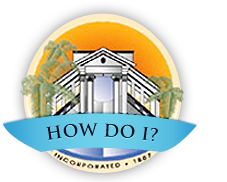 To learn more on how to file a complaint with SCAQMD please follow the link http://www.aqmd.gov/contact/complaints. The City of Colton encourages residents to “Dump the Pump” and use public transportation. Using public transportation reduces vehicle emissions and helps clean Colton’s air. Omnitrans bus stops are conveniently located throughout the City of Colton. To start planning your trip today click here. For Access ADA Service click here. For Special Transportation Service click here.